A Year by the Sea: Thoughts of an Unfinished Woman gradually evolved. I didn’t run away to write a book. I was too brain dead to do that. I ran away to get rid of the clutter in my life and listen to what my heart was trying to tell me. My two sons were out of the nest, my husband was pursuing his dreams, and I needed to ask myself some hard questions without relying on the input of others. So I retreated to our Cape Cod cottage (off season) and gradually– as I walked the beaches, ran into a fascinating mentor, and took a job in a fish market–came up with some unconventional answers for a new life. It was when my best friends came to visit me and saw how different I was from the person that left them behind that they wanted me to tell them just what I had done to change. With their encouragement I began to retrace my steps and put my thoughts on paper. 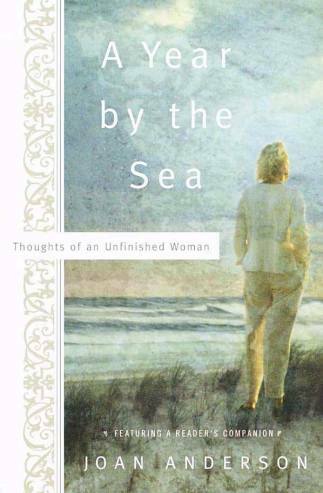 Several years later my first book, A Year by the Sea: Thoughts of an Unfinished Woman was published. After 36 rejects and 10 rewrites the book met with tremendous success. Women write to me from all over the world asking, “How did you know what was in my head?” The connection with these women has been more of a reward than I had ever imagined.